Please fill in the form below to receive a quotation for custom made blinds. Please include your address if you would like us to quote for delivery also. Position Inside Recess Outside Recess See the diagrams on this page showing how to measure your windows. Desired Actual Blind Width (cm) This is your desired fabric blind width not the frame size. We would advise you take off 5mm off your inside recess measurements so it doesn't catch. Desired Actual Blind Width (cm) This is your desired fabric blind width not your opening we require. Add at least 5cm outside plaster or architrave at either side (10cm total). Desired Actual Blind Drop (cm) Add at least 10cm if no existing pole/baton to measure from. Lining Just Lined Interlined Blackout Lined Interlined and Blackout We would recommend interlining with our linens apart from our stonewashed or chunky linens. Controls Left Hand Right Hand All of our blinds come as Roman Blinds on a cassette ratchet system. You can choose left or right hand controls. Measure the width in two places down the length of the window just in case the window narrows. Use the smaller of the two measurements. 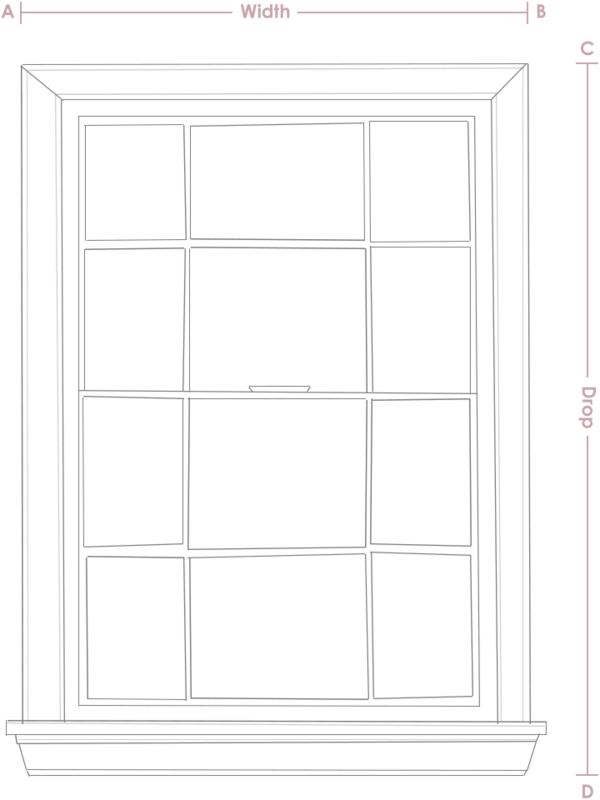 Measure the drop (height) of the window from the top of the recess down to the sill, in two places along the width. Use the longer of the two measurements. To measure the width of a blind for the outside of your window, measure the size of the wooden strapping above the window A – B. 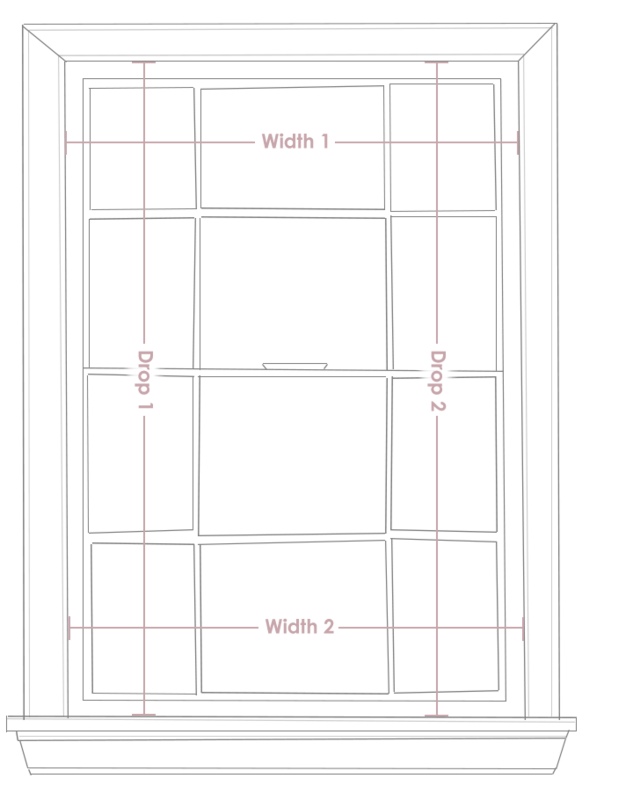 If there is no strapping or window facings, measure 5cm either side of the the window space. Where there are window facings, measure the width of the facing. To measure the drop (height) of the blind for the outside of your window, measure from the top of the wooden strapping or facing C – D.
If neither of these are on your window measure 10cm above the window space down to your desired length. If you sill extends outwards, measure to top of sill for blinds to sit on.